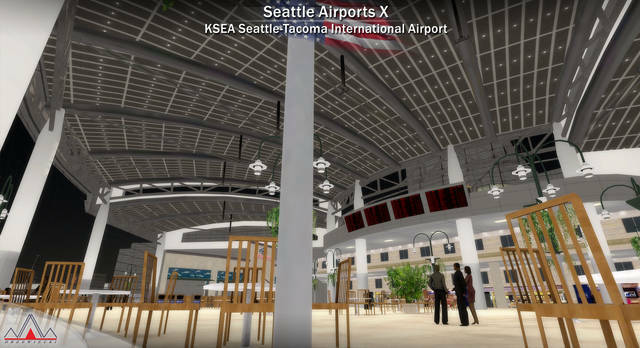 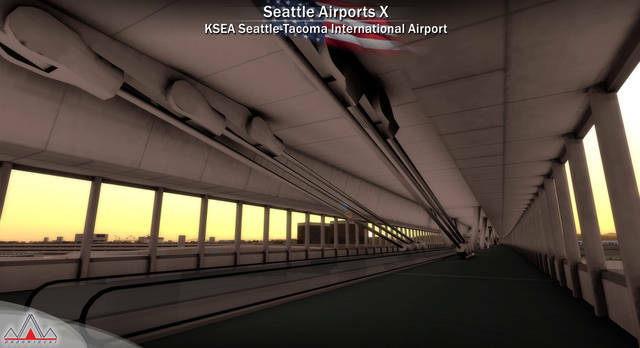 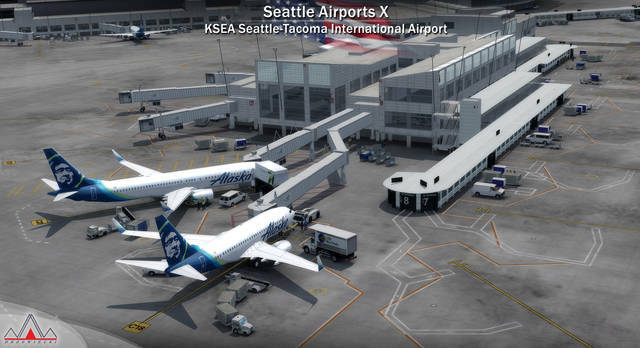 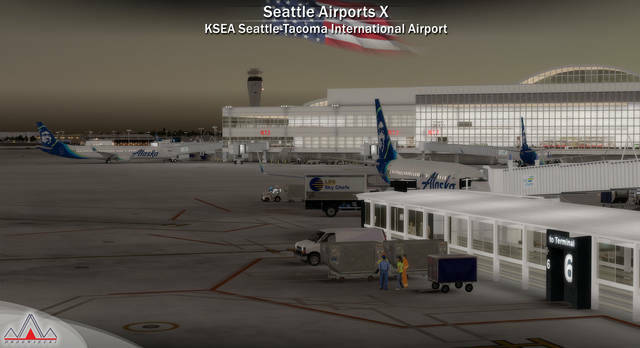 Seattle Airports X is the most complete, up-to-date, affordable and performance-friendly scenery package of five airports in the Seattle metropolitan area, Washington state, USA. 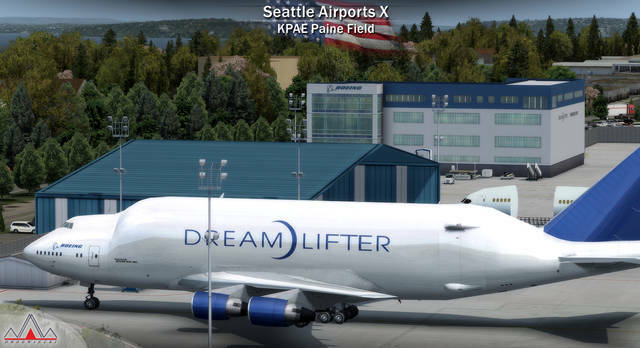 This product is compatible with FSX-based platforms including Microsoft Flight Simulator X and Lockheed Martin Prepar3D. 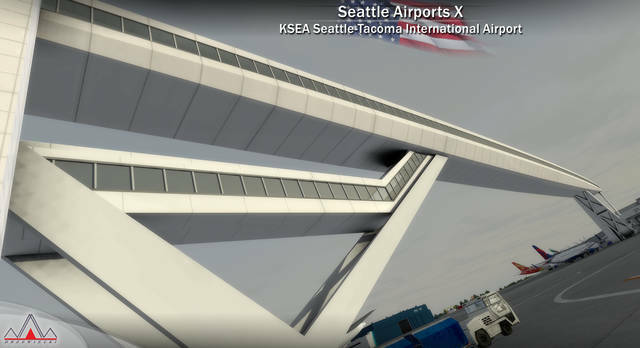 Please note that this product does not include the city of Seattle but is fully compatible and designed to work together with Seattle City X by Drzewiecki Design. 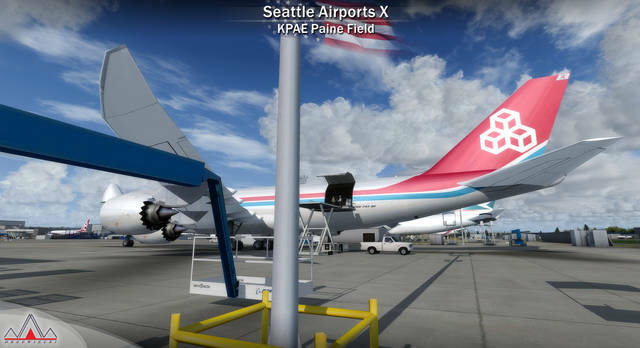 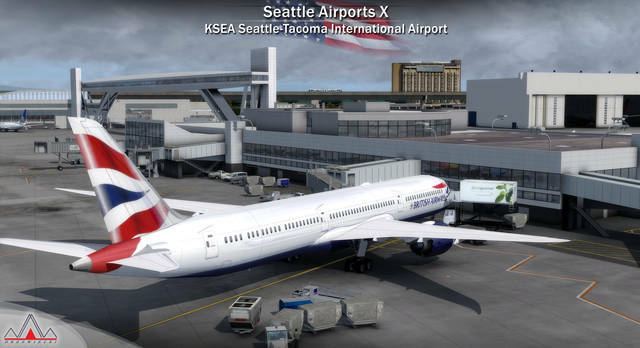 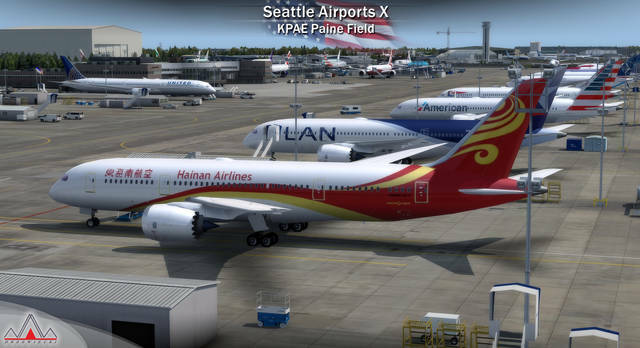 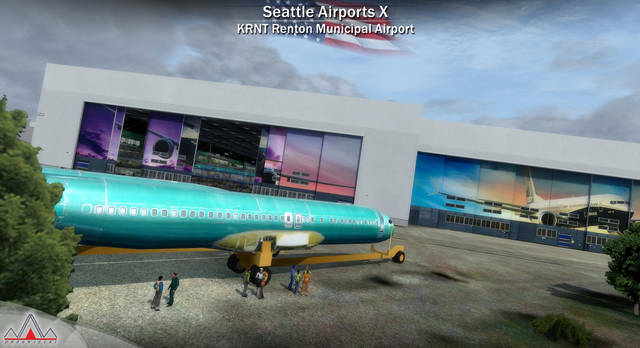 Extensive though performance-friendly internal modelling, accessible in the Avatar Mode (P3D) including Boeing Everett Factory (the whole assembly building with 747, 777 and 787 assembly lines), both Boeing delivery centres (at KBFI and KPAE) and all terminals at KSEA. 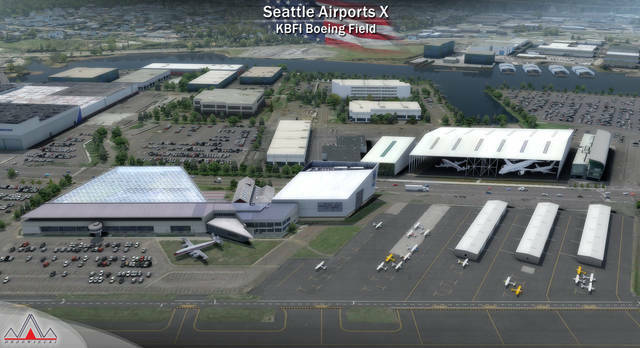 Custom-made airport diagrams with original stand numbers used by Boeing. 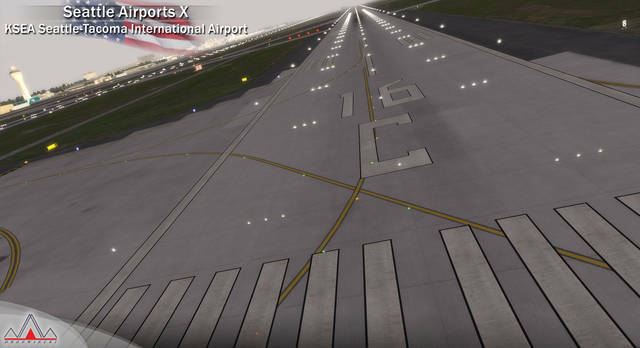 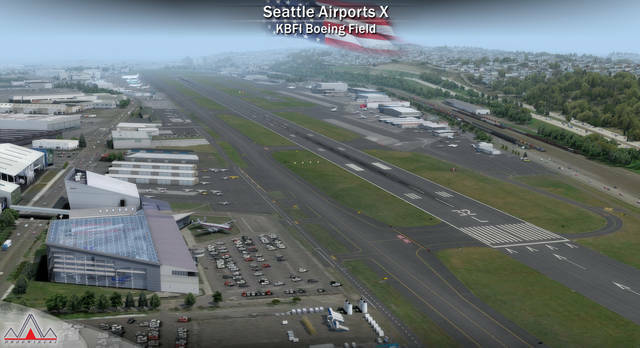 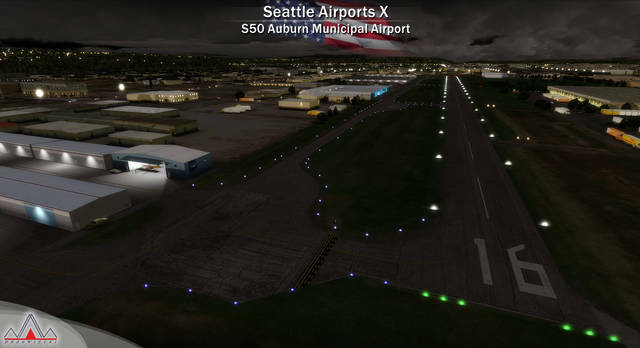 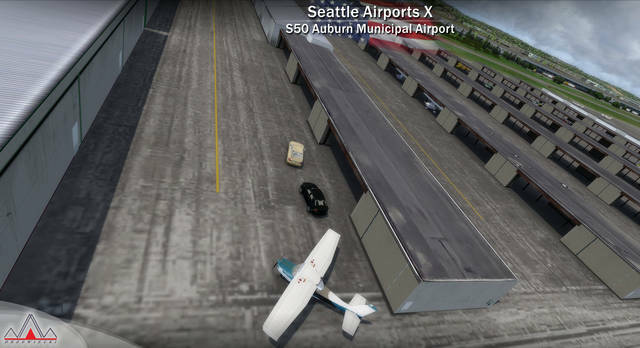 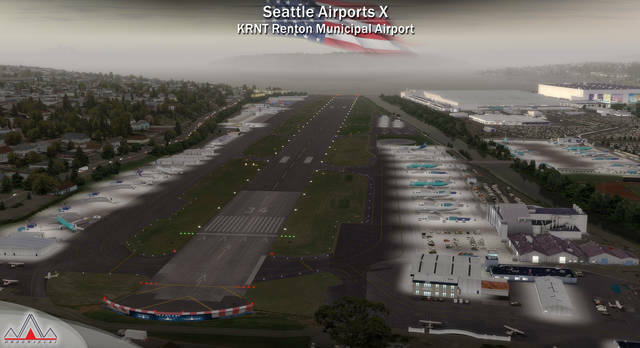 Seattle Airports X is compatible with Seattle City X by Drzewiecki Design, all ORBX products, all PILOT’S products and all Megascenery products. 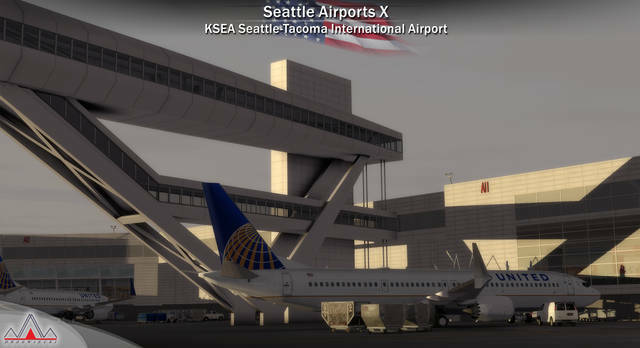 It can also be used together with KSEA Seattle-Tacoma by Taxi2Gate. 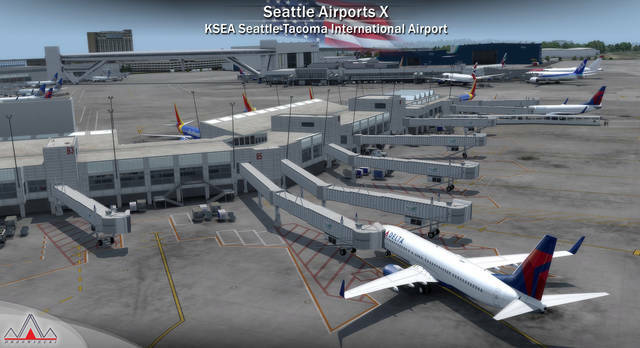 Seattle–Tacoma International Airport (IATA: SEA, ICAO: KSEA, FAA LID: SEA) - also referred to as Sea–Tac, this is the primary commercial airport serving the Seattle metropolitan area in the U.S. state of Washington. 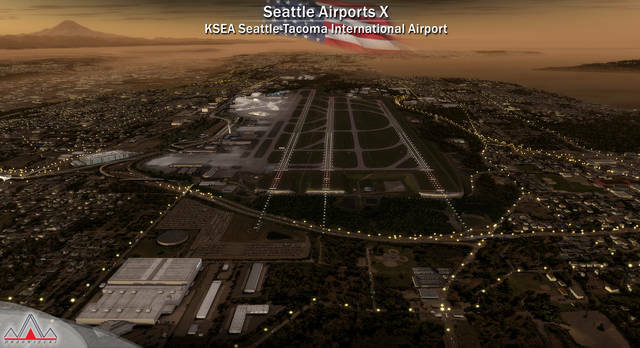 It is located in the city of SeaTac, approximately 13 miles (21 km) south of Downtown Seattle. 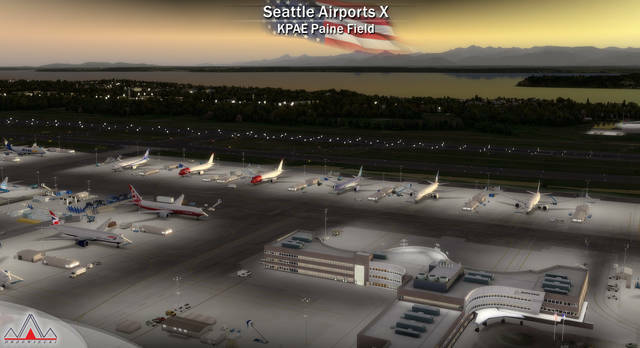 The airport, the largest in the Pacific Northwest region of North America, is owned and operated by the Port of Seattle. 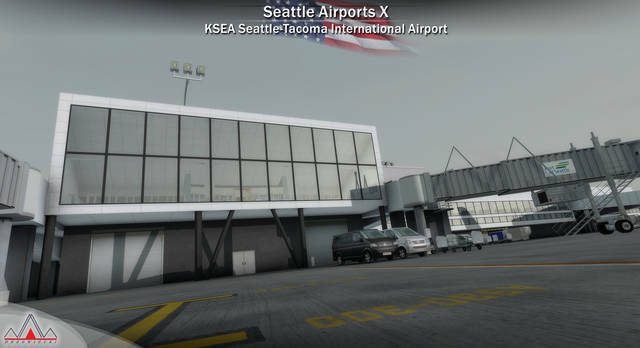 The airport has flights to cities throughout North America, Europe, the Middle East and Asia. 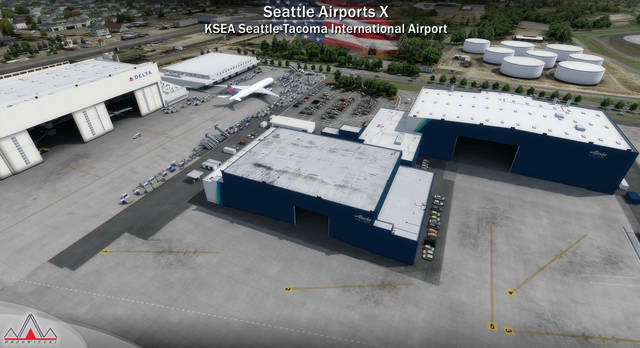 It is the main hub for Alaska Airlines and its regional subsidiary Horizon Air, whose headquarters are near the airport. 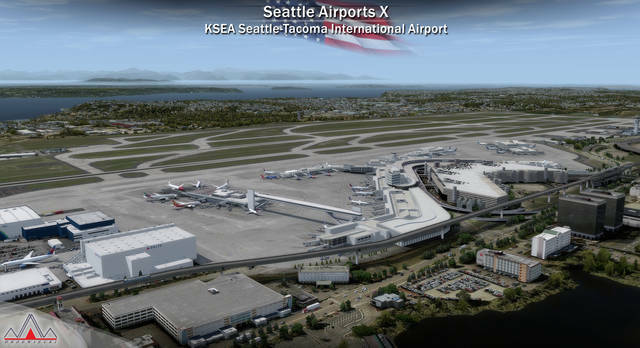 It is a hub and international gateway to Asia and Europe for Delta Air Lines, which has expanded at Sea-Tac since 2011. 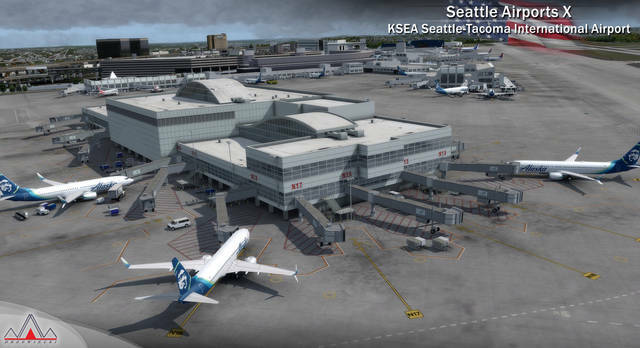 The airport is the 28th busiest airport in the world by passenger traffic, serving over 45 million passengers in 2016, and is considered one of the fastest growing in the United States and the world. 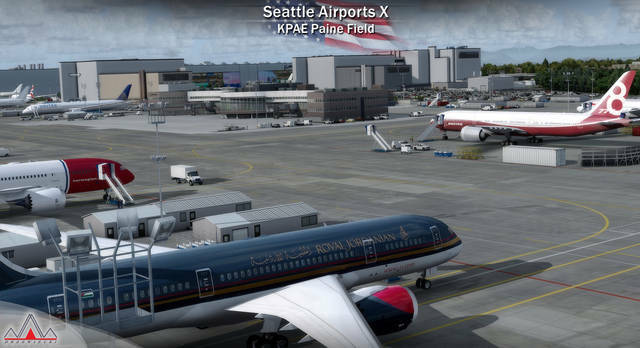 It is categorized in the National Plan of Integrated Airport Systems for 2015–2019 as a primary commercial service (large hub) airport based on 16,121,123 enplanements in 2012. 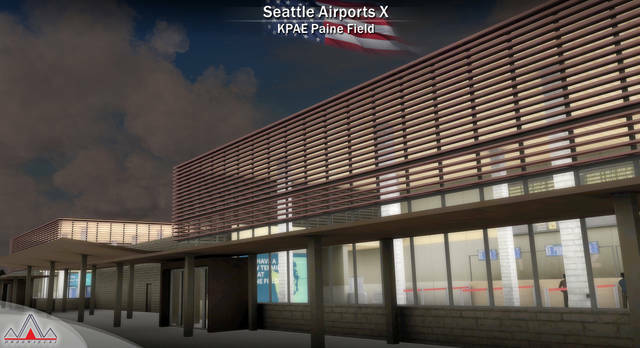 The airport is the largest generator of vehicle trips in the state, and its 13,000-car parking garage is North America's largest parking structure under one roof. 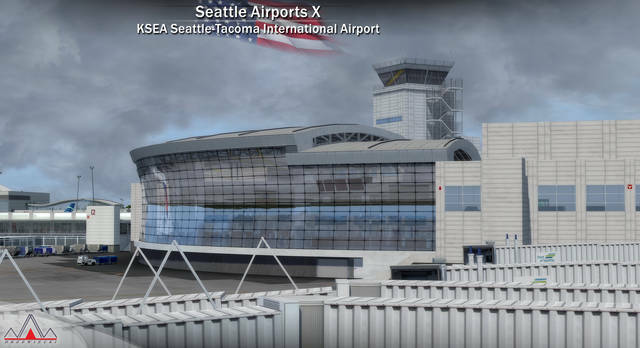 Busiest domestic destinations from Seattle–Tacoma are: Los Angeles, San Francisco, Anchorage, Denver, Las Vegas, Phoenix and Chicago. 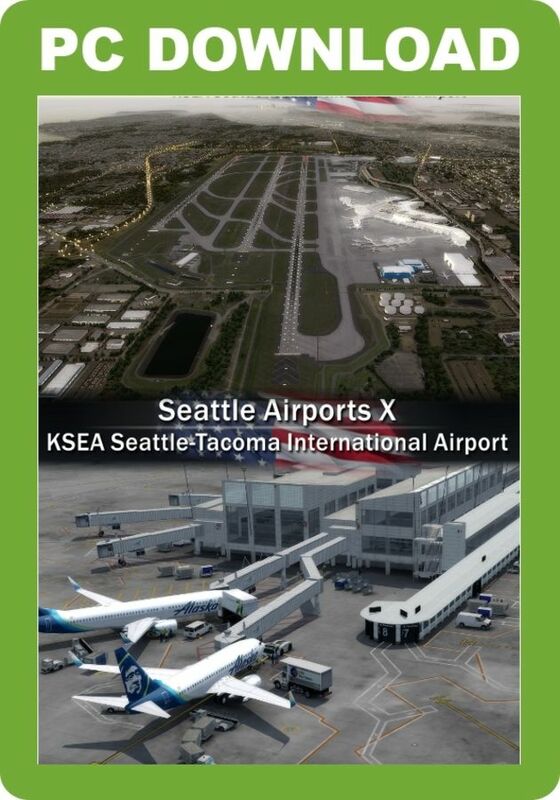 Busiest International destinations are: Vancouver, Seoul, London, Dubai and Tokyo. 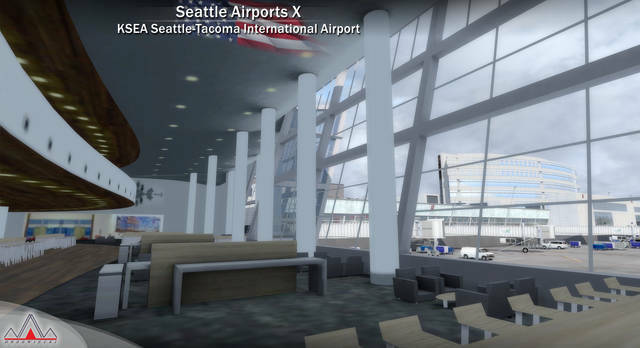 ~40% of the traffic is served by Alaska Airlines, ~15% by Delta Air Lines, ~11% by Horizon Air, ~8% by Southwest Airlines and ~7% by United Airlines. 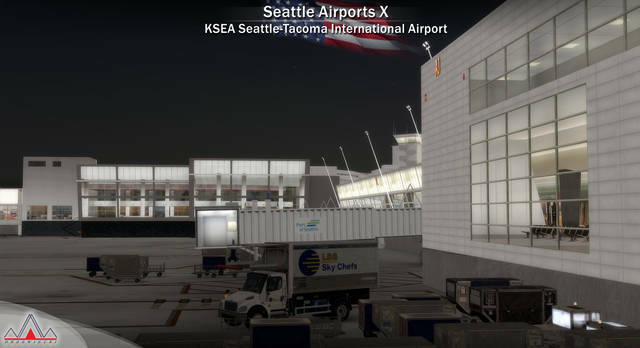 Our product represents the airport after the expantion construction work is completed - with the new International Arrivals Facility and both Satellites rebuilt. 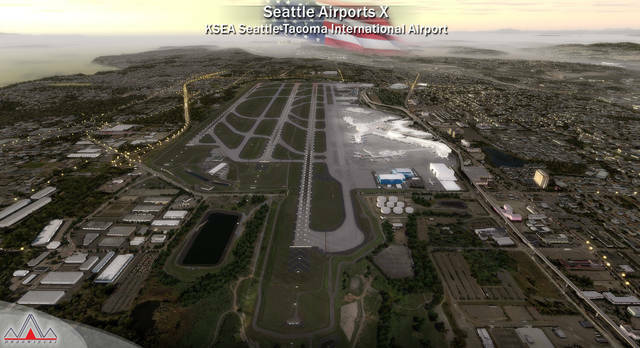 The project is expected to be completed by 2021 at a cost of $766 million. 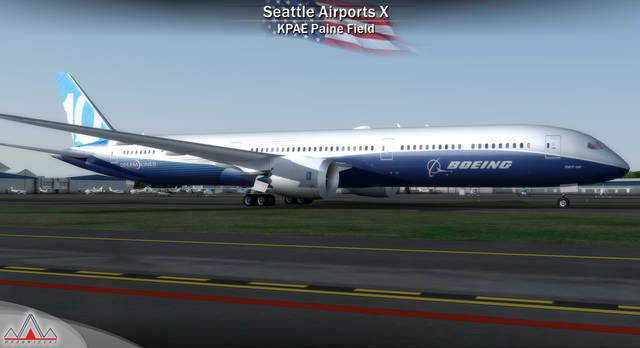 After the new IAF opens the South Satellite will continue to be used for arriving international flights and additional international gates will be added in Concourse A, nearly doubling the number of gates capable of serving larger wide-body aircraft. 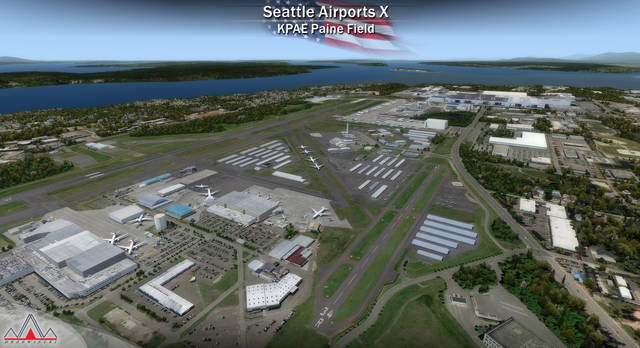 Paine Field (IATA: PAE, ICAO: KPAE, FAA LID: PAE) - also known as Snohomish County Airport, this is a small international airport serving part of the Seattle metropolitan area in the U.S. state of Washington. 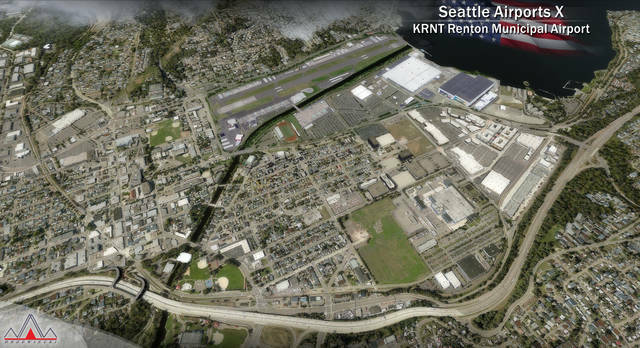 It is located in unincorporated Snohomish County, between the cities of Mukilteo and Everett, about 30 miles (48 km) north of Seattle. 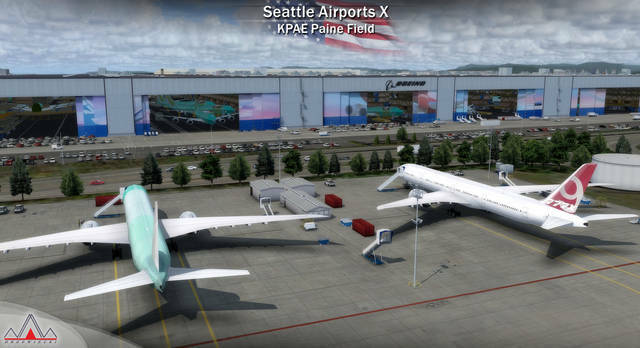 Paine Field is home to the Boeing Everett Factory an airplane assembly building owned by Boeing. 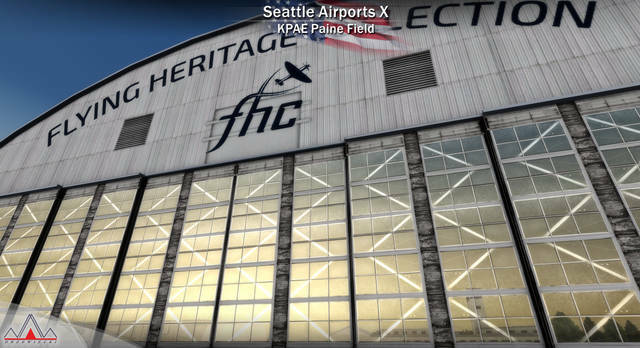 Located on the northeast corner of Paine Field, it is the largest building in the world by volume at 13,385,378 m3 and covers 399,480 m2. 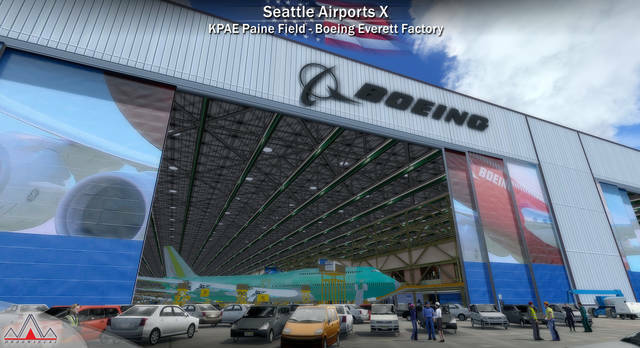 This is the factory where the wide-body Boeing 747, 767, 777, and 787 are assembled. 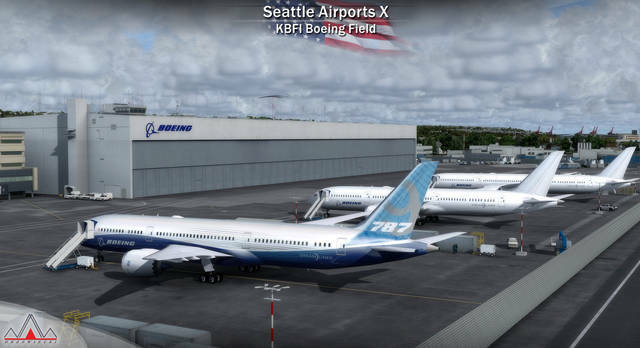 Plans for the factory were first announced in 1966 for it to be the site of the construction of the 747 after Boeing was awarded a US$525 million contract from Pan American World Airways to build 25 747s. 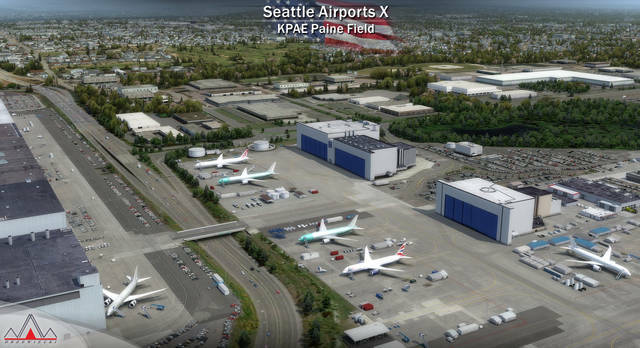 It purchased 780 acres north of the then little-used Paine Field, which was operated by the US Army in World War II. 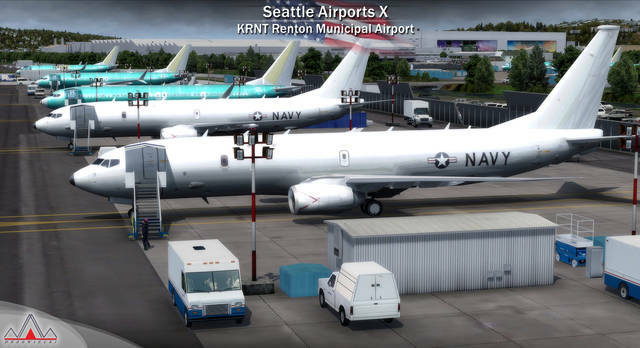 Boeing has had an Everett presence since 1943. 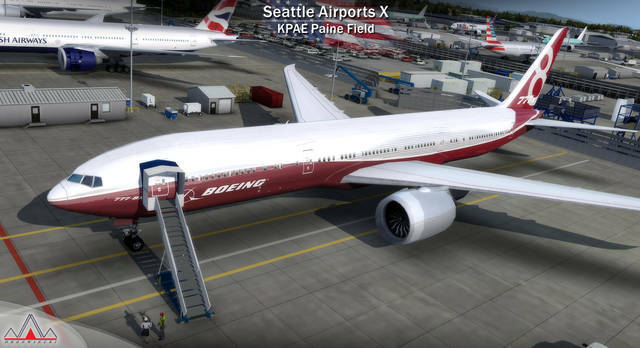 In 1968 it began offering factory tours with the first roll out of the 747. 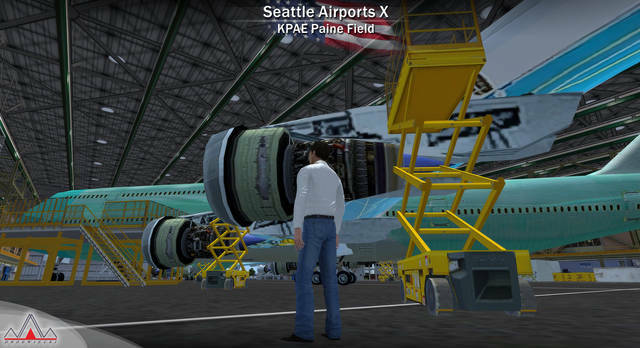 Over 150,000 people visit the Everett Site each year. 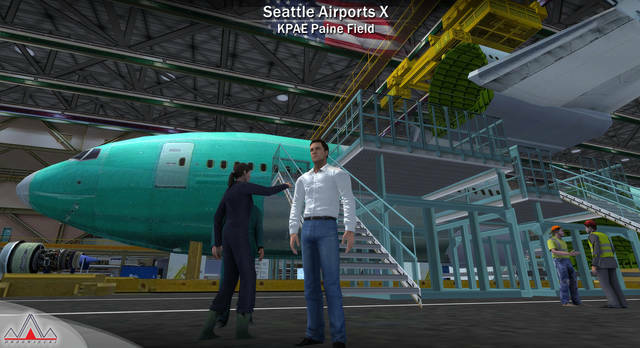 The factory includes a Boeing Employees' Credit Union branch and several cafés. 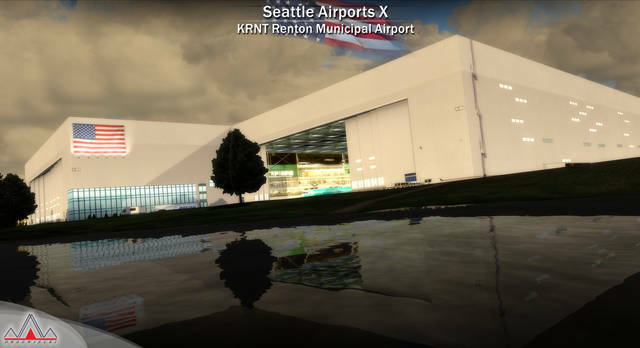 Across the airport to the west is The Boeing Store, a theater, and a Future of Flight Aviation Center, which runs the factory tour. 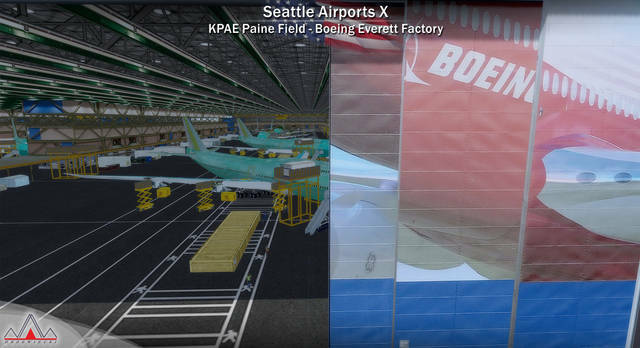 The Everett Factory employs over 30,000 people, including its own fire department, security team, daycare center and fitness center. 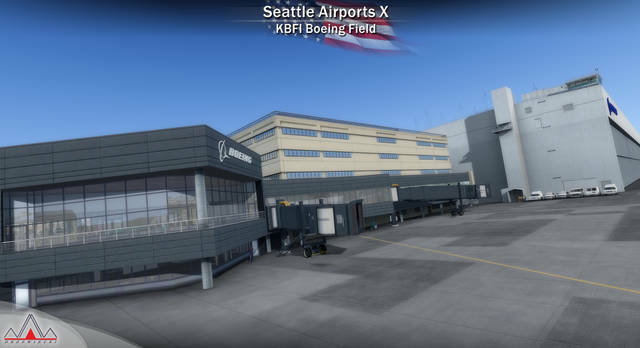 Boeing Field, officially King County International Airport (IATA: BFI, ICAO: KBFI, FAA LID: BFI) - this is a public airport owned and operated by King County, five miles south of downtown Seattle, Washington. 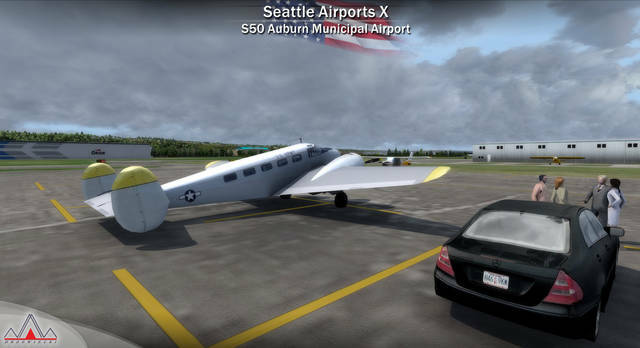 The airport has some passenger service, but is mostly used by general aviation and cargo. 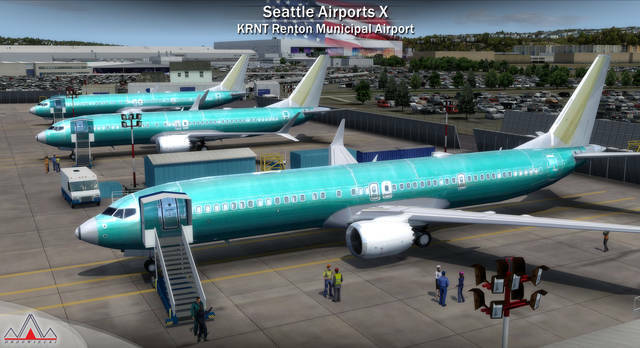 It is named after the founder of Boeing, William E. Boeing. 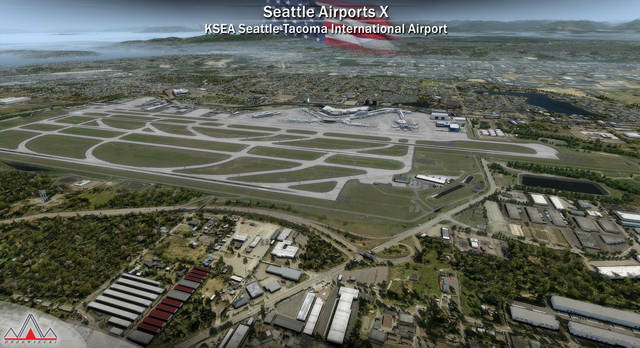 The airport's property is mostly in Seattle just south of Georgetown, with its southern tip extending into Tukwila. 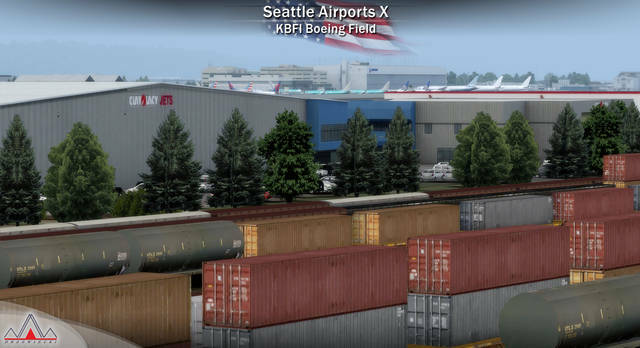 It covers 594 acres (240 ha) and has more than 375,000 operations yearly. 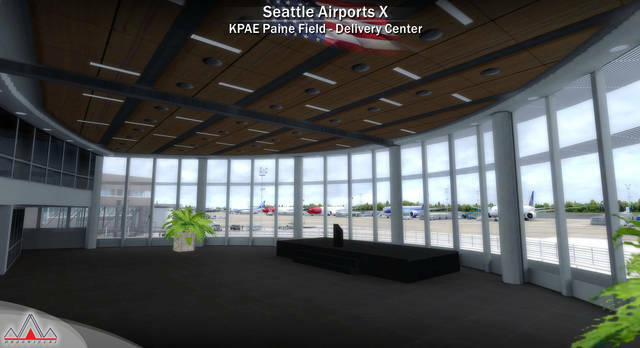 It is in the National Plan of Integrated Airport Systems for 2011–2015, which called it a primary commercial service airport. 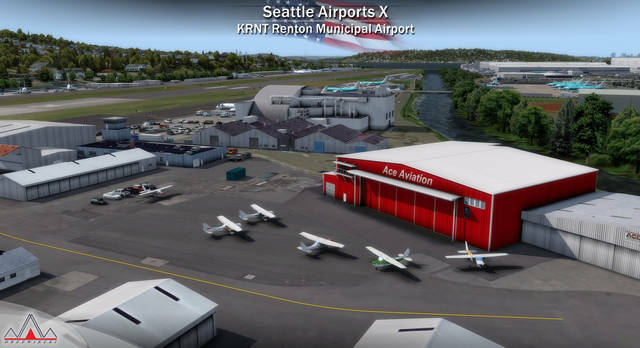 Renton Municipal Airport (IATA: RNT, ICAO: KRNT, FAA LID: RNT) - a public use airport located in Renton, a city in King County, Washington, United States. 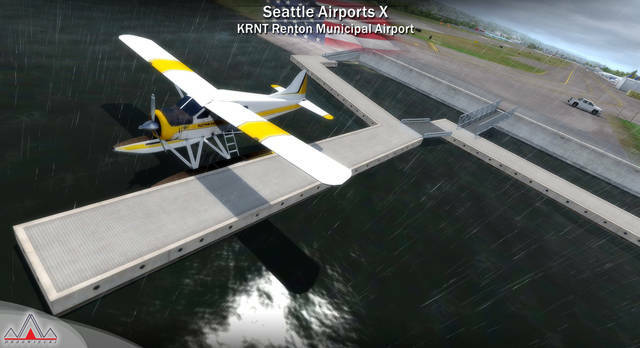 The airport's northern boundary is Lake Washington and the Will Rogers - Wiley Post Memorial Seaplane Base. 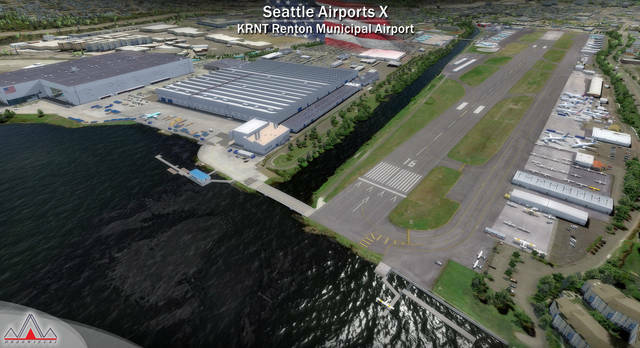 Renton Airport has a floating dock and a launching ramp for conversion from wheeled landings to water takeoffs and landings. 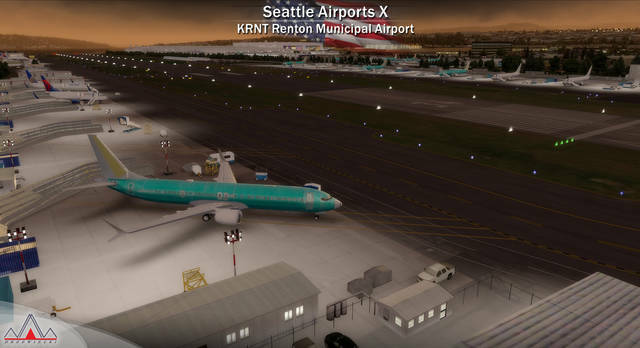 The airport is owned by the City of Renton and is a general aviation airport which serves Renton and other nearby communities. 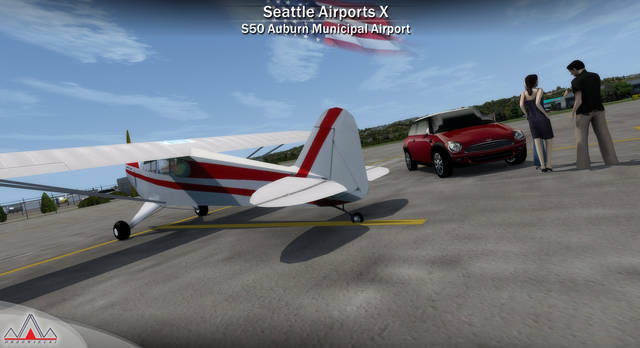 It provides regional aviation services for air charter, air taxi, corporate, business and recreational flyers. 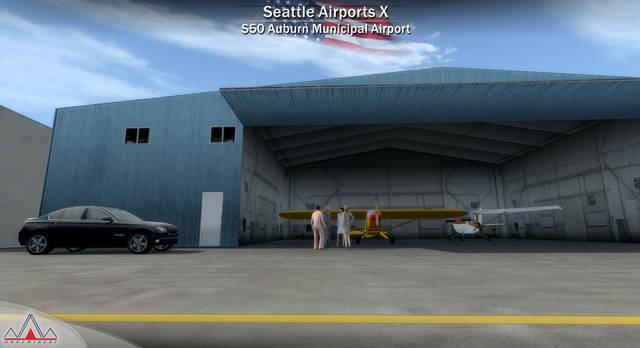 Auburn Municipal Airport (FAA LID: S50) - a city-owned public-use airport located 2 nautical miles (3.7 km) north of downtown Auburn, in King County, Washington. 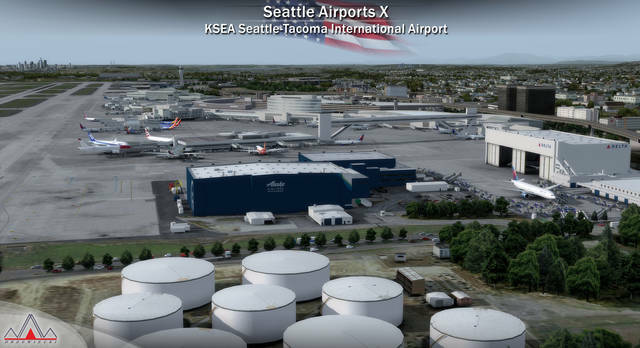 It is included in the Federal Aviation Administration (FAA) National Plan of Integrated Airport Systems for 2017–2021, in which it is categorized as a regional reliver facility. 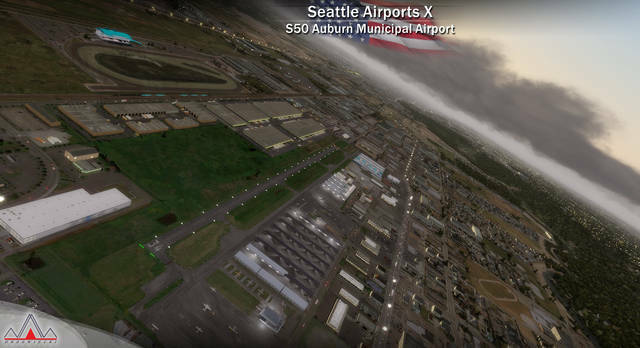 The airport covers an area of 110 acres (45 ha) and contains one asphalt paved runway. 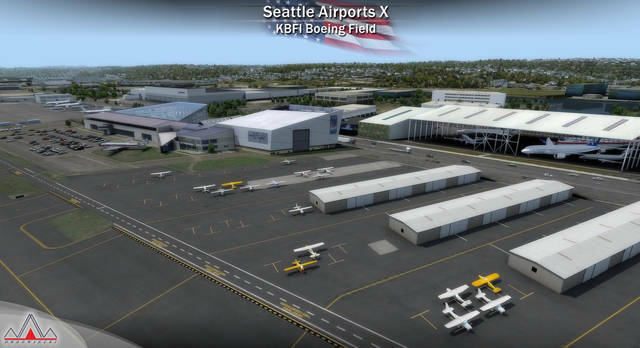 Mostly used for general aviation, the airport offers no commercial service. 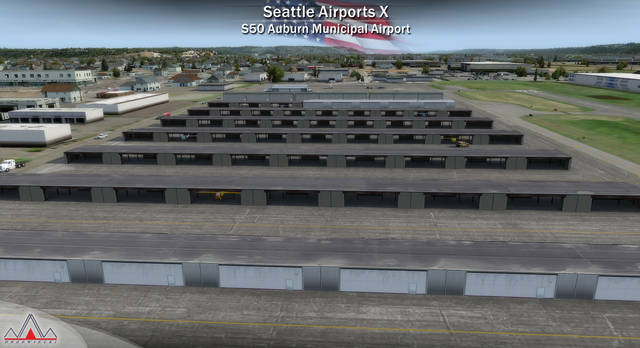 With 318 aircraft based at Auburn, including 293 single engine, 14 multi-engine aircraft, and 11 helicopters. 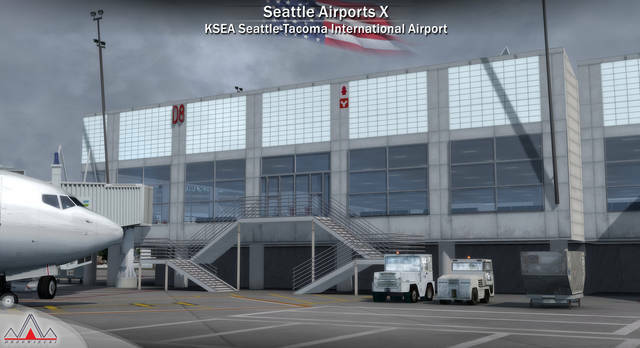 The airport averages 450 operations per day. 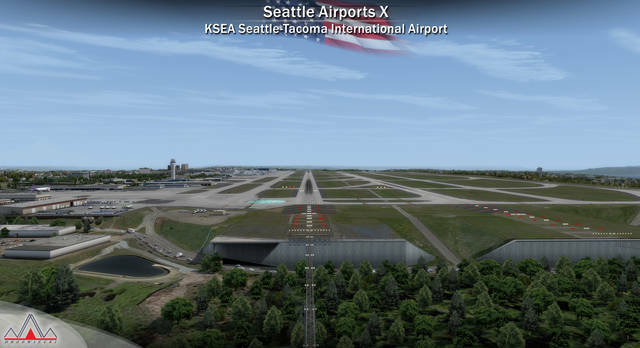 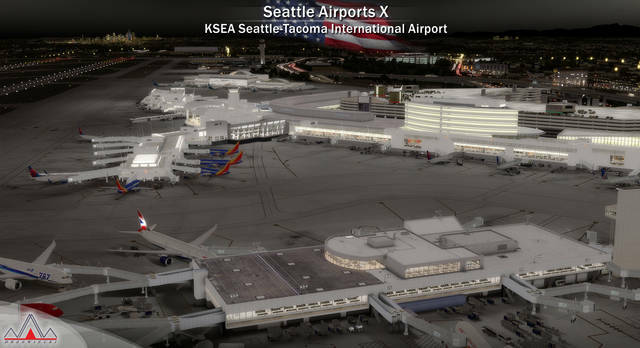 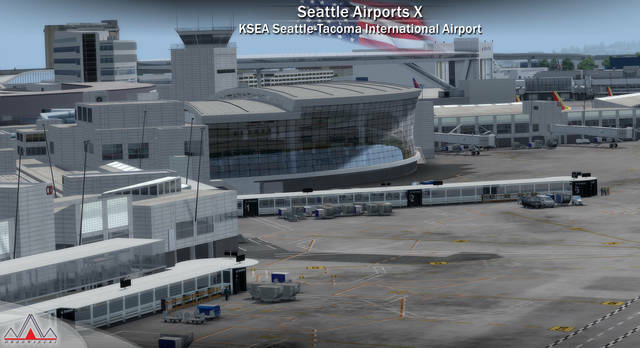 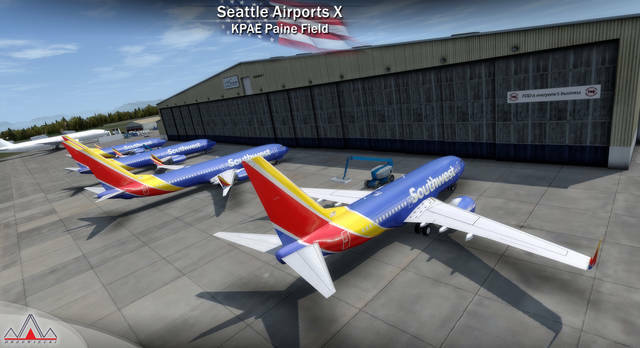 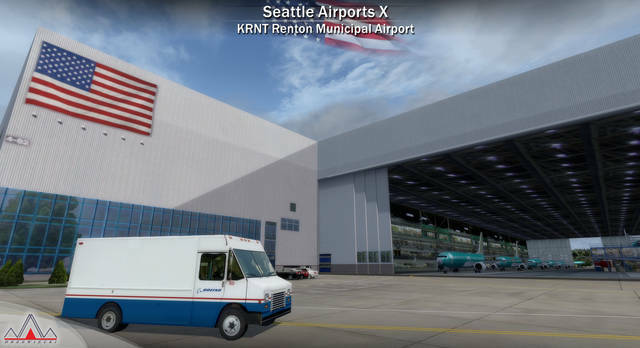 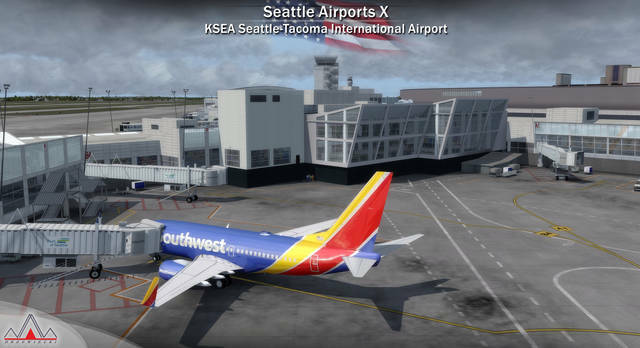 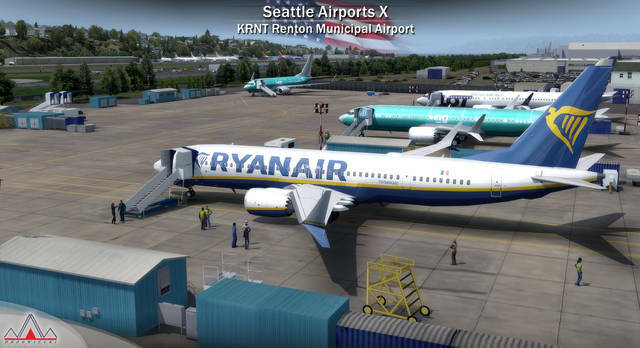 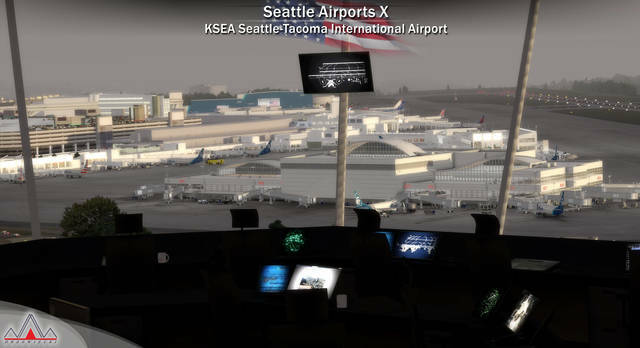 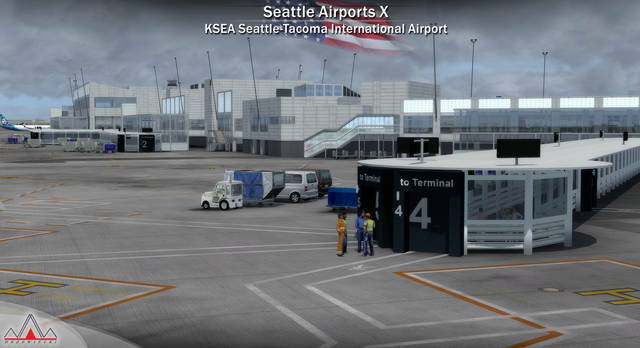 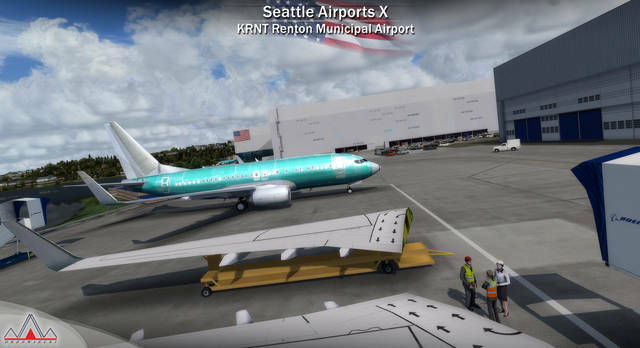 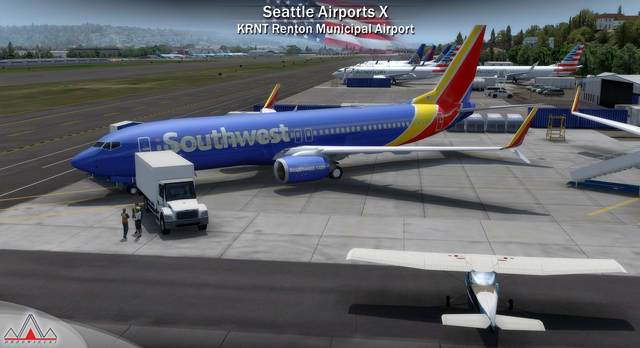 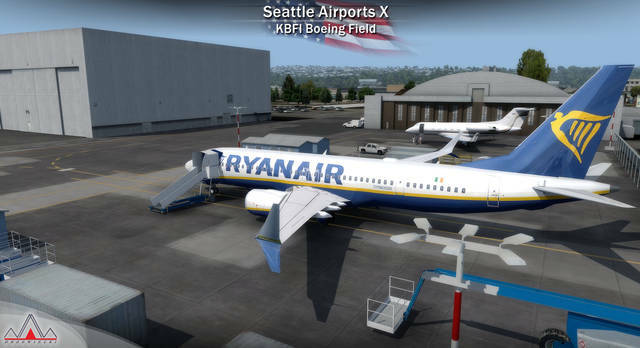 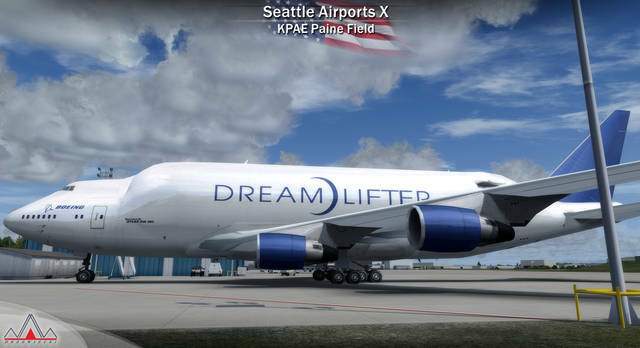 This Drzewiecki Design scenery add-on for FSX and P3D provides five detailed and up-to-date airports in the Seattle area, including Seattle–Tacoma International. 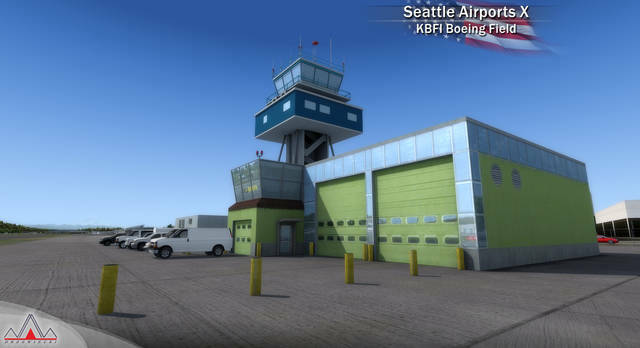 Features include SODE jetways, automatic seasonal switching, user-controlled advanced lighting, high quality static aircraft, animated vehicles, 3D people and custom mesh. 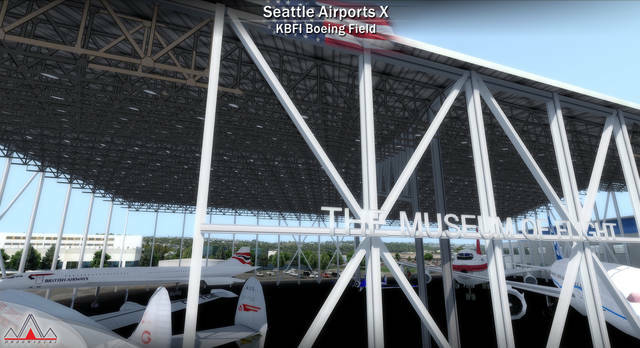 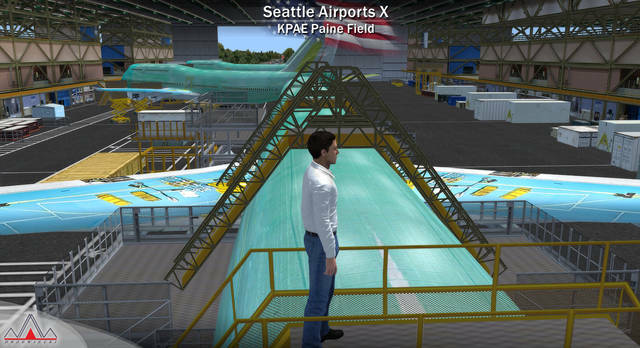 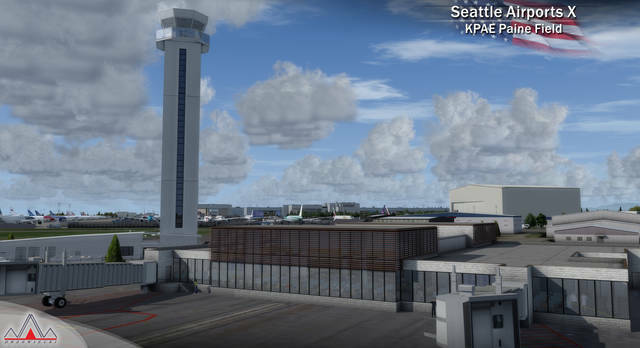 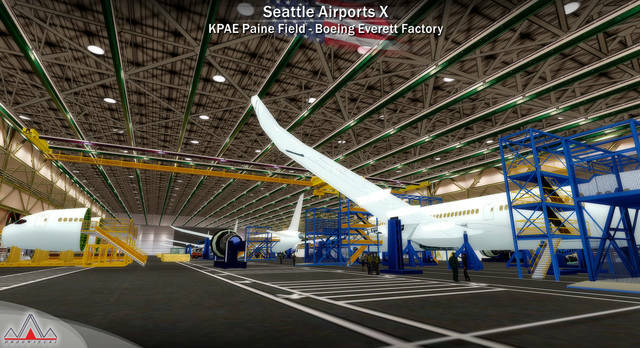 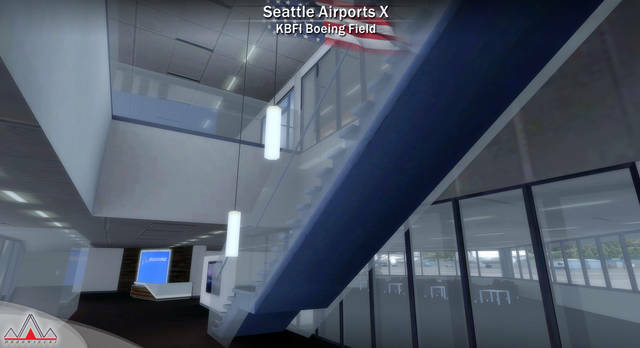 Performance-friendly internal modelling includes Boeing's Everett Factory assembly building, its delivery centres at KBFI and KPAE and all terminals at KSEA.